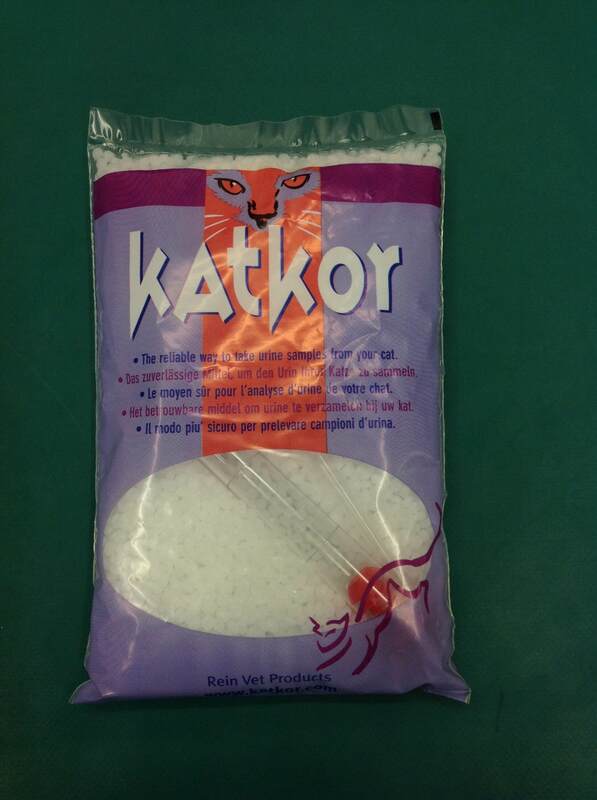 Collecting a cat urine sample can be a daunting task but it is often not as difficult as you think. How to get a urine sample? Firstly you will need a special urine collection kit that we will supply for you. This will make it much easier to collect a sample at home. When you are ready clean the litter tray thoroughly and then rinse and dry. Sprinkle the special non-absorbing cat litter in the litter tray and place it back in the normal position. If you have more than one cat it may help to separate the cats while you collect the urine sample. This will help to make sure the sample is from the correct cat. Give your cat time and space to have the opportunity to use the litter tray normally. Any faeces should be removed from the litter tray immediately to avoid comtamination of the sample. Once your cat has urinated in the tray use the pipette provided to collect a sample and place it into the container provided. In order for use to get the most reliable results from your sample, it should be brought into as soon as possible once it has been collected. If we are not open then put it in the fridge and bring it in within 24 hours. The quicker we get the sample the more accurate your cats results will be. 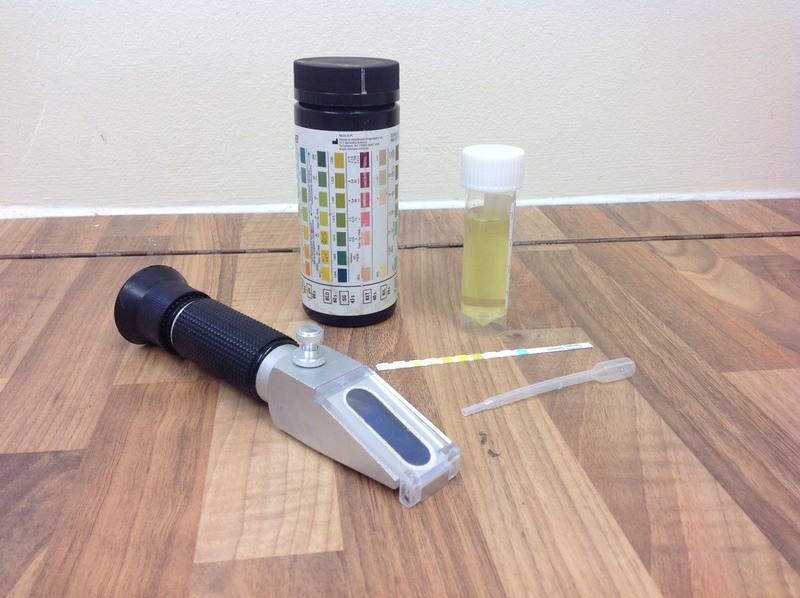 Most urine tests are run in house and only require a small amount of urine (1-2mls). Some samples may need to be sent to an external laboratory and in these cases a larger sample will be required. Why might we ask for a urine sample? There are many things that we can learn from testing your pets urine. By looking at the concentration of the urine (known as the specific gravity) we can assess the function of the kidneys. By looking for protein or blood in the urine we may suspect signs of cystitis or inflammation of the bladder. By looking for glucose and ketones in the urine we can assess if your pet may have diabetes. What if I cannot get a urine sample at home? If you cannot get a urine sample from your cat at home then they can come in to stay with us for the day. That way we can get a urine sample from them. This will either be by using the technique above or by taking a sample directly from the bladder. If you have any further questions then please contact us on 01702 545558.